I've been playing League of Legends lately and I keep noticing a lot of players keep constantly getting disconnected or there is always a lot of lag. 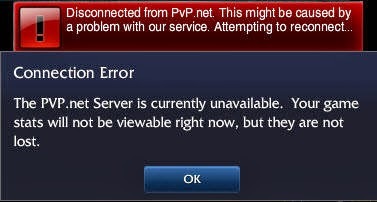 I'm fairly sure that in a lot of cases it's not the player's connection but league itself, because there have been a lot of times where everyone in a game was lagging and Riot itself have posted many warnings on the game client that explain they are experiencing connection difficulties. What I'm wondering is whether this can be prevented by upgrading or increasing the amount of servers, or if it's something that an MMO like league has very little control over. Riot have received countless complains about the connectivity, which is why I think by now they would have done something about the connection problem if they could. Or it may be simply the case that League is still adjusting to the constantly increasing number of players.